Artist Kathleen Best Gillmann lives outside Washington, D.C., but grew up in New England. Growing up in a rural locale with plenty of opportunities to enjoy the outdoors year round stimulated her imagination and love of nature. With encouragement from her high school art teachers, she began photographing and sketching outdoors. She majored in studio art and art education in college and has more recently studied painting and drawing at the Art League in Alexandria, VA. Today, she continues to find inspiration in the natural world and her professional reputation has been growing in recent years for her waterscape paintings. Since 2006, when she began submitting to juried shows, her art work in a variety of media has received several awards. Most notably, "Inundated" took best in its category (the Bose Gallery Award) at the Art League's 'Scapes show in 2013. 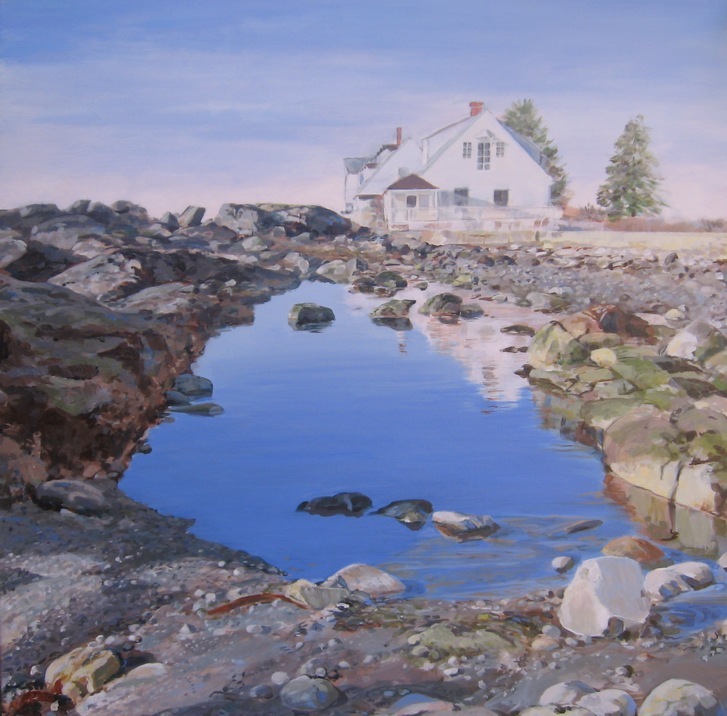 Additional awards include frequent People's Choice Awards , Honorable Mentions for "Midday Awakening" From Ted Reed (2014) and for "New Growth" from juror Elizabeth Peak ('Scapes 2015) and Second Place Award from juror Edward C. Knipper in 2014 for "Solitude (Coastal Maine, 7)." In 2014, a collection of Ms. Gillmann's work was exhibited at the National Institutes of Health, East Gallery and curated by Fitzgerld Fine Arts. Later that year, two paintings were included in "Big Skies," a juried exhibit at Gallery Flux, Ashland, VA. In July 2016 she was delighted to have a solo exhibit at the Art League Gallery and later in the summer four paintings were selected for inclusion in "Splash" a water-themed group show at Gallery Flux. Ms. Gillmann's work acrylic, pastel, and other media is held in private and corporate collections from Maine to Colorado.